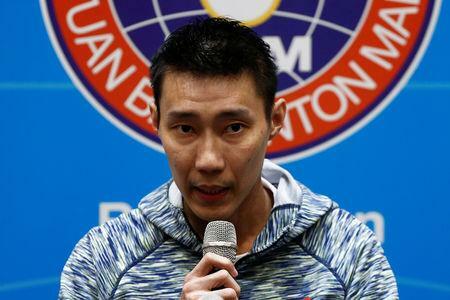 KUALA LUMPUR (Reuters) - Former world number one Lee Chong Wei is planning to return to badminton after successful treatment for nose cancer and has set his sights on winning gold at the 2020 Tokyo Olympics, he said on Thursday. Speaking at his first news conference since his diagnosis in September, the Malaysian three-times Olympic silver medallist said he has no intention of retiring. "I love this sport and I want to be back soon and prepare for upcoming tournaments, but how quickly I will return will depend on my condition," the 36-year-old said. "My doctors have advised me to take things slowly and I will listen to their advice to take things slowly... I have started some light training at home. "Of course, the Olympic gold is still my dream and my target." "I thank the support of my family, friends and my fans who wished me a quick recovery. This was very important to me."